No Jobs? What a Crock! In our industry we meet all types and for the most part we are fortunate that we deal with hard working Australians who want and need a job however this is not the case with all. I was recently asked to record a segment for Today tonight where they wanted me to interview a lady who had apparently applied for 1,000 jobs and was unable to secure any of them. The segment never made it to air because as soon as I started interviewing her, it became apparent that she had not in fact applied for a single job that she had the relevant skills or qualifications to justify consideration. This is the problem with our growing unemployment rate; It’s not a lack of jobs, it’s a lack of relevance! Australia's unemployment rate is currently sitting at 5.3% whilst this is still well below the OECD average rate of 8.5% it is once again on the rise. With nearly 353,000 active roles advertised across the country, it is a hard argument to make that there are no jobs available if in fact you really want one. I'm not saying people aren't applying for roles, but it is becoming more and more common that people are looking for work that is either a pay grade above them or that requires a skill set that they have not yet gained. We are of course taught that we must finish school and then go to university; however are these individuals properly evaluating their options and considering the long term implications of their decisions or merely following the path set for them by their parents or the pressures of society. In 2009, 38% of 15-64 year olds were enrolled in a university course compared with just 16.2% in 1999. Children are being encouraged to remain in school and complete their senior years, sure vocational learning has improved and the government can feel good about student retention rates but is it really addressing the issues? It’s certainly affecting our nation’s work ethic and desire to work in less glamorous roles, ever tried to get a tradesman or have them turn up when they say they will? Back in the eighties and nineties Kids left school and went into a trade; they worked hard, got paid little but learnt the value of a hard days work and developed a strong work ethic. With an average ofaround 160,000 graduating Australian universities each year we are faced with another problem in that people are not giving due considerations to what courses they are taking. In areas where there is low demand surely the government should have an obligation to limit places in these courses knowing full well that only a select few will actually have placements waiting for them upon graduation. Over the December period retailers such as Kmart looked to employ hundreds of additional staff to meet the demands of their customers throughout the peak trading time. Large retailers like this find it very hard to fill the number of vacancies mainly because people think the work is beneath them. What happened to the day when people got in at the bottom and worked their way to the top? Catriona Noble, CEO of McDonald's Australia, a $3.5 billion dollar a year company, started out as a teenager making fries. The head of American chain Best Buy, Brian Dunn started his career in 1985 as a sales associate. Grant O'Brien, the recently appointed CEO of Woolworths in Australia, has been with the company since 1987. I know we can’t live in the past and we have to evolve, but have we really evolved? What are we doing to get people back into the mindset where hard work and persistence pays off? If we don’t have people prepared to start at the bottom who will serve our customers at the coal face and more importantly where will the skills be gained to truly know how to run the business once they get the top job? It is no surprise that Australian retail is currently going through tough times. But for all of the noise being made around the increase in online shopping, not much is being done by retailers to get their piece of the action. A quick look at the websites shows just how behind they are, with only a few products on offer if any at all. Australian shoppers are amongst the most tech-savvy in the world, with the Australian public traditionally being early adopters of new and emerging technologies. It is important now, more than ever that the right people for the job are in store and that managers adapt their businesses to suit the changing retail landscape. Staff need to be knowledgeable and passionate about the products, otherwise consumers will simply go elsewhere. The way that consumers are shopping is changing, with mobile phones the new tool of shoppers to compare prices and do their research to complement their shopping experience. 96% of smart phone users reported using their phone to compliment their online searches. To take advantage of this, retailers must change the way they approach online sales. Rather than complaining about how overseas websites are stealing customers away, retailers need to invest in their digital platforms and draw the customers back. Australian consumers are willing to shop local, with an increase in consumers wanting to purchase through local sites increasing from 24% in 2009 to 30% in 2011. 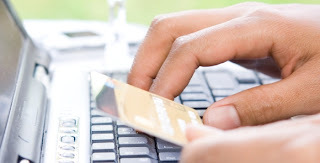 For Australian retailers to cry poor by the increasing use of online sits to shop, they have only themselves to blame. Training your in-store merchandising staff to work online is one of the options that can help to build sales. Use the talents of your staff and help them to help you. Skills can be transferred and a staff member who has a good eye for design in store is more than likely going to know what looks good online. Work with your Gen Y staff and ask them how they shop and what they are looking for in a website. It might be something as simple as having a map and contact details on the front page of your site. This sort of research won't cost you anything but will help build your online presence. Retailers need to embrace the future and get on top of it now. If you wish to be left behind then by all means, keep complaining, your competitors are going to be the ones who benefit. Qantas - Bungle or Heroes, and what's this got to do with retail. Well this blog is bound to get the biggest reaction of all to date. Many people have passionate opinions on the recent Qantas dispute, especially those who were actually stranded during the airline's shut down including one fellow writer, a professional it would seem who commented it was like being invited to a BBQ by a mate and having the door slammed in your face, very Un-Australian. REALLY ??? I am really surprised by the division of opinion over this and, not being one to sit on the fence, I just have to say it was one of the bravest corporate decisions of our time. As a traveler who was stranded in the USA for a week and possibly who should be more emotional about the impact this had on my ability to run my business, I have never been more happy to be stranded because it was about time that business stood up and did something about the unions and the antiquated working practices of the past; and this sure was something. The problem with freedom of speech is it is often used by ignorant people with very little information at hand. Whilst Qantas did massively disrupt passengers for a week the fact is that the unions and it's members have been interrupting services for 10 months now and let's not forget they vowed to also strike over Christmas, potentially leaving us all stranded at this peak period when travelers want to be reunited with their families. The choice to take action now and ensure that we were not stranded over Christmas was brave and really the only sensible decision to make. 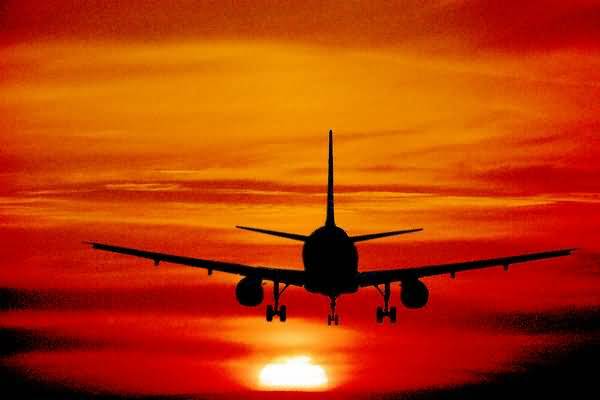 Be you an international airline or a retailer big or small we are all facing challenges never before seen in this country due to the Labour government’s introduction of Fair Work Australia. In Qantas’ case this meant enabling the unions more power in the bargaining process forcing tougher negotiations and making unreasonable and untenable requests of the business that could have lead to the ultimate demise of the airline in the long term. In the retail space our special gift from Fair work Australia was the modern award which funnily enough is anything but modern. The modern award was implemented to simplify all of our awards, which did need to be done, and to then provide us with a standardized approach or one-size-fits-all approach. However, one size simply does not fit all. At a time when retailers are facing declining sales and reported slumps in consumer confidence, retailers have been slogged with increased costs that are in many cases more significant than the business can handle. Whilst we have seen many retailers go under we know that many others would have, if they had not been bailed out by their overseas parents. Some of the main cost impasse centered around an increase in penalty rates for what the government titled "unfriendly working hours". Again, how can a one size fits all approach work when some industries working Thursday nights, Saturday or Sunday is a rare occurrence but in retail it is the main trading period, so to suddenly load costs to these working periods of time is both extreme and unfair. The bottom line is that whilst Qantas may be an extreme case they have led the charge and stood up to the unions and the government and have been the voice of all Australian businesses. If something does not change we will see more and more businesses closing under the pressure of these increased costs through the antiquated employment practices of the past, the world has changed and employment policy needs to change with it to ensure the viability of all Australian businesses. From a retail stand point we have not even seen the full effects yet as many retailers were still operating under old enterprise agreements or collective agreements but as they expire and more are forced to adopt the modern award we are sure to see more victims fall under this new and ill thought out regime. God bless you Mr Joyce it was an honour to be stranded for this cause. Flocking to our shores - but are they the right ones? The Australian retail market has matured significantly in recent years and is truly on par with other international retail markets.. We have seen an influx of international brands into the Australian marketplace and the introduction of larger format stores and true big box retail with brands like Costco and Apple aggressively opening stores in the Australian market We have also seen amazing transformations in areas such has home brand development and supply chain enhancements to rival the product offers in other countries however often this has been through the help of expats trained for years in this type of sophisticated retail. Whilst we have become a serious global player it has happened quickly thus not allowing us to train a lot of senior professionals, who previously have relatively low experience in how to run these mega businesses. It is for this reason that we have seen some come to our shores and remain stagnant and others come and fail. We have long relied on bringing in senior talent to show us the way, with candidates from more sophisticated retail markets like South Africa, UK and the USA however in recent times the funnel has narrowed and the influx of talent have stopped finding us so desirable. This may seem odd to some as Melbourne was just nominated most liveable city in the world with Sydney, Perth and Adelaide all in the top 10. The problem isn't the desirability it's the economic issues facing us, starting with globally out of whack tax rates which act as a disincentive for top talent, many of these executives can secure well paid employment with very generous tax benefits in other emerging retail markets. On top of this the cost of living in Australia's has also risen to catapult us to the top of those charts with Melbourne and Sydney ranking 6th and 7th most expensive cities in the world respectively. Melbourne ranked 40% higher than New York based largely on housing costs. The consumer price index (CPI) showed a 19% increase in 2009-2010 highlighting the real increase in the cost of living in Australia, the trouble is that the average wage only increased by 3.8% for the same period leaving the average income earner to struggle with meeting daily household expenses. It is figures like this that are turning talented retail expats away from Australia in droves at a time when we need the talent more than ever. When we look at some of our failed retailers of late such as Borders, Colorado etc the problem was not the brands or the concepts it was the infrastructure in running them and the knowledge of how and when to turn them around. If we had the right talent with depth of experience behind them we may not have seen some of the recent catastrophes. You may ask if this is the case then why is our immigrant population growing ? Yes it is! In fact numbers are on the rise in 2009-2010 208,000 people migrated to Australia and in 2010-2011 213,000 people came so obviously we are still an attractive country to some. The majority of immigrants in the 2010-11 period were from Southeast Asia, Northeast Asia, Southern Asia followed by New Zealand ,however the concerning trend is the increase in these people not in employment, this rose from 2.0% in 2008-9 to 2.7% in 2010-11. This begs the question are we attracting the right people ??? That's something you can answer for yourself but It is becoming more and more obvious that when it comes to attracting top talent to drive our economy forward it is getting harder and they no longer seem to think we are the lucky country. In what some are describing as the toughest retail times they have seen there are some awesome success stories emerging such as Spanish retail giant ZARA and their foray into the Australian market. ZARA has now successfully opened 2 flagship stores in Sydney and Melbourne with Adelaide due to open it’s doors in Mid November 2011. Zara are not just doing well in Australia they are blitzing it with Sydney sitting in their number one sales spot globally since it opened and Melbourne in the top 5 since it opened. It seems that whilst some retailers are harping on about slow sales and low consumer confidence ZARA are proving that customer’s are spending they just wanted something new from their shopping experience. Zara have got the most up to date stores and such a varied collection that it seems to be catering for just what shoppers were after. Perhaps if others put more energy into developing new initiatives to invigorate the customer experience and less time banging on about the economy they too could be sharing some of Zara’s well deserved consumer moula. Zara is a vertically integrated retailer. Unlike similar apparel retailers, Zara controls most of the steps on the supply-chain, designing, manufacturing, and distributing its products Zara set up its own factory in La Coruña (a city known for its textile industry) in 1980, and upgraded to reverse milk-run-type production and distribution facilities in 1990. This approach, designed by Toyota Motor Corp., was called the just-in-time (JIT) system. It enabled the company to establish a business model that allows self-containment throughout the stages of materials, manufacture, product completion and distribution to stores worldwide within just a few days. 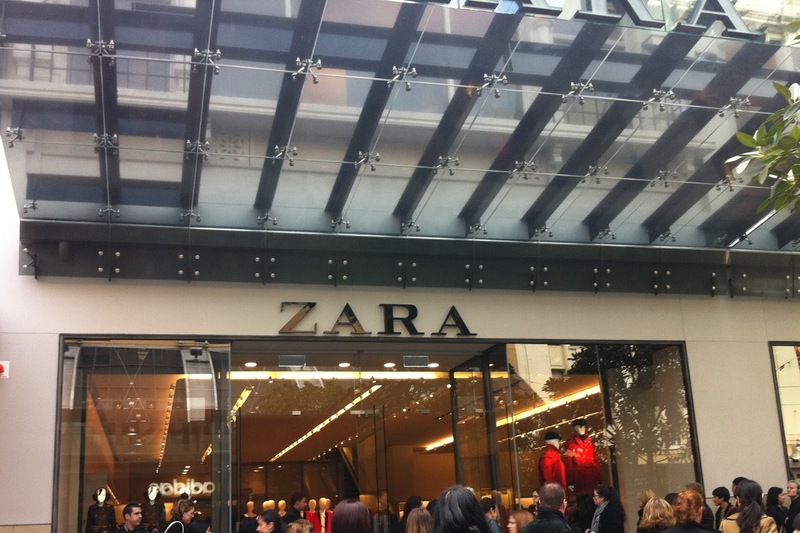 Zara is a global powerhouse now with 1557 stores in 73 countries around the world! Just goes to show give the consumer a unique shopping experience, get your back end right to ensure you can deliver and you are recession proof! Well done ZARA you’re my hero!